To date I have been a member of 4 different gyms. All start well but after a few weeks I get fed up and make excuses and before you know it you’re averaging out at £130 per session actually attended. In a bid to get fit I recently took up running. If you knew me, you would realise how ridiculous this was. I lasted 5 weeks and I was still only running for 5 minutes at a time. 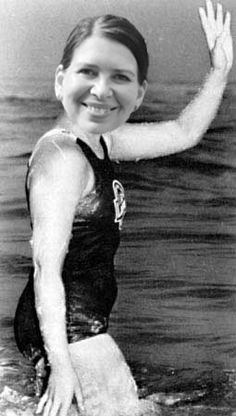 I have therefore gone back to the only form of exercise I have ever been able to do – swimming. I have taken the plunge (literally) and joined the only local gym with a swimming pool that I’ve never joined (and subsequently abandoned) before. I have all the usual good intentions of going – have bought new goggles and sourced a nice key ring to put my gym card on (very important) – but I have flunked enough gym memberships before to know that I need some kind of challenge to keep me motivated (apparently shelling out £40-odd per month just doesn’t do that). I have therefore decided to swim the Channel. Sort of. And not in the actual Channel. When I say swimming the Channel, what I actually mean is swimming the equivalent distance of the Channel. In a lovely swimming pool. A few lengths at a time.That is almost nearly exactly the same (bet Walliams wishes he’d thought of it). The English Channel is 21 miles across. In 25m swimming pool terms, that equates to around 1,352 lengths. I will swim that distance. Definitely within the next year. I really would do it in the actual Channel as I don’t mind the idea of smearing lard over my body but I’m not too keen on cold, choppy water or leptospiroisis. Plus, being in land-locked Wakefield, it’s all just a bit tricky. I definitely would though. Of course, telling myself that I will swim the equivalent of 21 miles in an unspecified time frame is not enough to keep me focused as I can talk myself out of pretty much anything. I need some public scrutiny and the potential shame of failure. I will therefore be completing my challenge in the public eye and inviting people to sponsor me. I promise that the more people sponsor me, the sooner I will try to complete it. I will provide regular public updates every time I complete more lengths and knock a few off the distance on Facebook and Twitter (follow the hashtag #swimmingthechannelsortof). For anyone who thinks this isn’t really that much of a challenge for me it really is – I am a physical wreck! I am overweight, have a false hip, bad knees, a shoulder that likes to dislocate every couple of years and a deep seated tendency to laziness. I will completely need to kick myself up the arse to complete this! To be serious for just one moment, I have decided to use this as an opportunity to raise money for War Child, a charity that helps children caught up in conflicts. Many of these children have had to make treacherous journeys across waters significantly more terrifying than a lovely private gym’s swimming pool. We’ve all seen the stories on the news. You can sponsor me here. You can also donate by mobile phone by texting the code SASC48 and the amount you want to donate to 70070. No donation is too small (and will give me a big fat kick up the backside to actually force me to make good on my intentions!). Quite happy to accept a sweepstake on how it will take me to complete (I estimate anything from 3 months to a year!). My challenge starts now. Only 1,352 lengths to go! Pft, you spoil sport, not only was i looking forward to helping you smear said duck fat or whatever they use to help you swim the channel, i was looking forward to meeting you on some beach in france with a case of local fizz whilst waving a flag, and shouting thats my bestie……….go sarah. Instead i will just donate to your very worthy cause and drink cheap fizz from co-op whilst doing so. “Anything from 3 months to a year”? Or anything from a month to 3 years? Don’t want too exhaust yourself too early on! Good thinking – maybe a mile a year?